Here are the best recipes and videos, according to our readers. Here are the most popular cooking features this year, according to our readers. Take a look back at the videos, recipes and histories that captivated our audience this year. Refresh your memory or discover what you might have missed! We’ve had so much fun at Russian Kitchen this year. We’ve performed crazy but delicious live events, held exciting contests, started a number of interesting series and begun broadcasting on Facebook Live! We hope that you found our content this year both interesting and useful! Here are the stories and videos you liked the most in 2016. This video of how to make Russian pies in a traditional oven was the most popular story of the year. Who doesn’t love pirozhki? Who doesn’t want to know how to prepare them, to watch the whole process and to repeat it step-by-step? Statistics show: everyone does! Of course everyone wants to eat healthy, but sometimes there’s nothing to do but grab some street food to go. Fortunately Russian street food isn’t that bad for you. 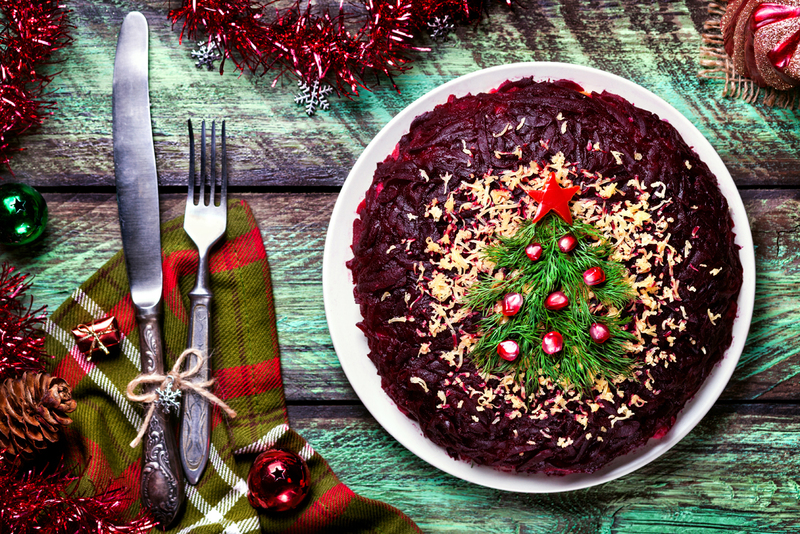 This cake, which came out of the Russian Orthodox fasting calendar, is also a go-to recipe for vegans who need a sweet treat. This fascinating video tells both the story of the cake and its recipe. Everything associated with Leo Tolstoy is popular at RBTH, and this story about his favorite pie is no exception. This video recipe was selected as one of the tastiest meals on our site by you, our readers. There are “tsars” everywhere in Russia. The Kremlin features a Tsar Cannon and Tsar Bell, for example, and Russian baking is no exception. The rich history and delicious taste of this tsar cake truly makes it the king of desserts. Watch and learn how to make it yourself! This project often gives us the opportunity to tell readers about Russia’s culinary history. This story of how food shortages produced a beloved dessert was especially popular with our readers. This video recipe is devoted to one of the simplest yet tastiest Russian pies: sharlotka. Apparently our viewers and readers love it as much as we do! This video tells the story of the delicious chocolate cake named not after the beautiful Czech capital, Prague, but after the renowned Praga (Prague) restaurant in the center of Moscow. It takes 5 hours to make this chocolate delight, but it’s definitely worth the effort! This text must have been shared simply because of the novelty — these dishes are just weird! But they were created for a reason, and one of them was even banned by the Orthodox Church. Read the story to find out more! Blini hold a special place in Russian culture. In the time of ancient Rus’, they were a sacred food, the symbol of the sun, prepared for religious feasts. Today they may not have the same symbolism, but they are still popular, and there is no end to the ways they can be prepared!